Voila, your phone becomes a tablet. ZTE isn’t a smartphone brand you'd associate with “firsts.” The Chinese company is known more for its affordable, mid-tier Android devices, its Axon series being the marquee product in the U.S. But ZTE’s new Axon M has a very different story to tell this time around. Rather than announce a flagship that competes head-to-head with the masses, ZTE is attempting to launch a whole new category of device: the foldable smartphone. Unlike its predecessor, the Axon 7, the AT&T-exclusive Axon M features two 5.2-inch 1080p displays on either side of its hinged chassis that open to create a larger 6.8-inch tablet-style device. The idea of a foldable smartphone isn’t a new concept, as it’s been long rumored that Samsung would be first to market with such a device. Alas, ZTE has that honor, and while the Axon M isn’t likely to set the bar for this type of device, it’s good to see an Android manufacturer try its hand at something completely different. The Axon M is a smartphone with a secondary fold-out display. The “M” in the new Axon name refers to the device’s ability for “multitasking” and “multiple modes,” though it could also refer to its malleability. 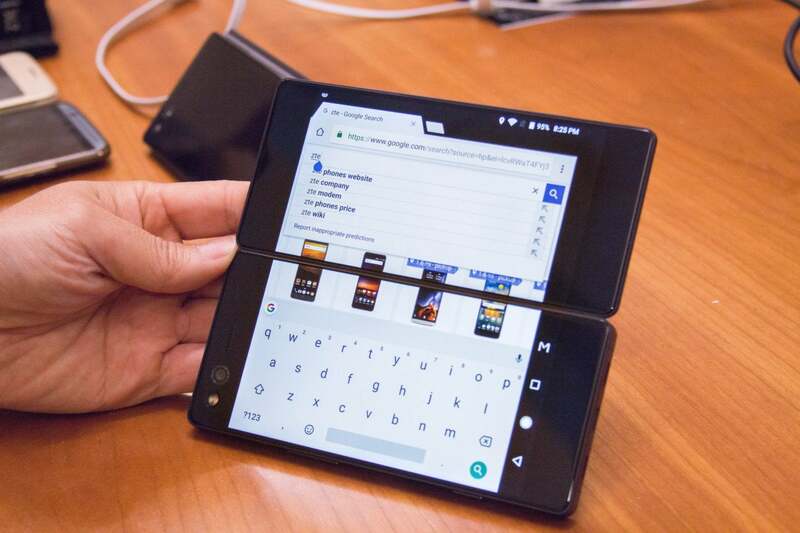 This is a device that folds into a smartphone, then out into a tablet-like shape, or into a tent (or A-frame) to create a double-sided display. From the front, the Axon M looks like a regular smartphone, albeit one with a large hinge on its right side. It’s as dense as you’d expect from a device with two display panels, considerably thicker than svelte flagships like the Samsung Galaxy S8 or LG V30. The trade-off for the bulk is twice the screen real estate. Mind you, the two screens aren’t always on. The Axon M’s back display is disabled when it’s not in use— with the screen off it looks similar to any other standard glass back on a smartphone. Holding the Axon M as if it’s a single-screened smartphone. Other prototypes and mockups of foldable devices rely on the screen itself being foldable, and capable of expanding into one uninterrupted display. 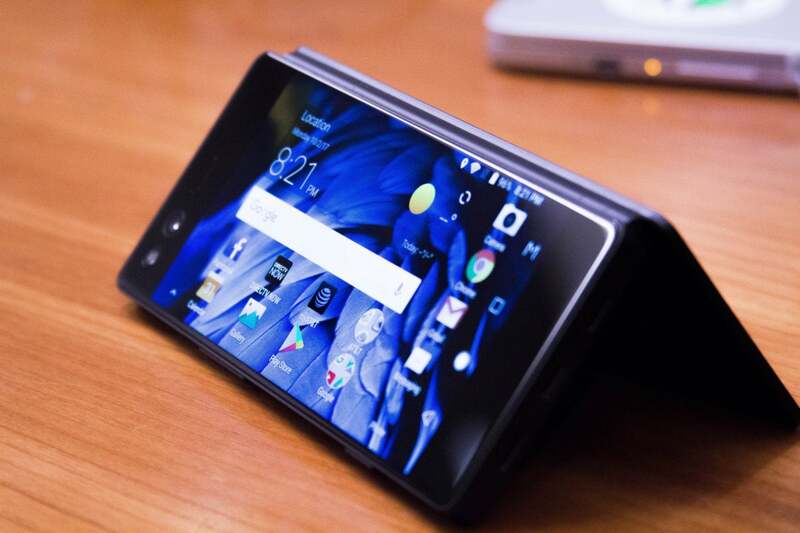 The Axon M does it differently: It uses two TFT LCD displays that are connected by a hinge. Think of it like using two side-by-side computer monitors; the same concept applies here—it’s up to you to choose how you want the two screens configured. 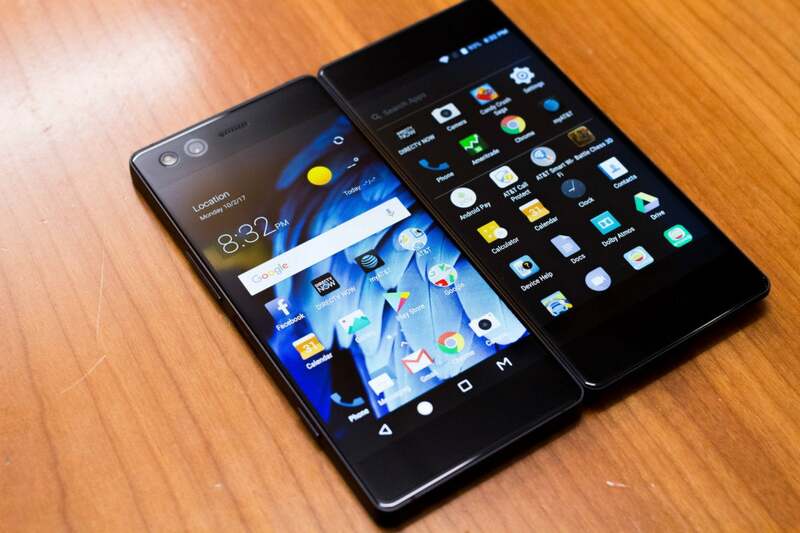 The Axon M running in Mirror mode, where both screens are exhibiting the same thing. 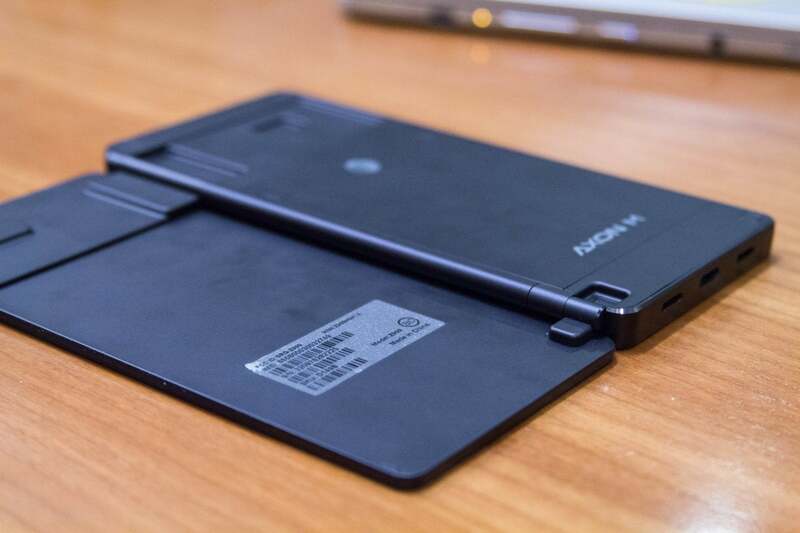 The back of the Axon M looks like the back of any tablet device. 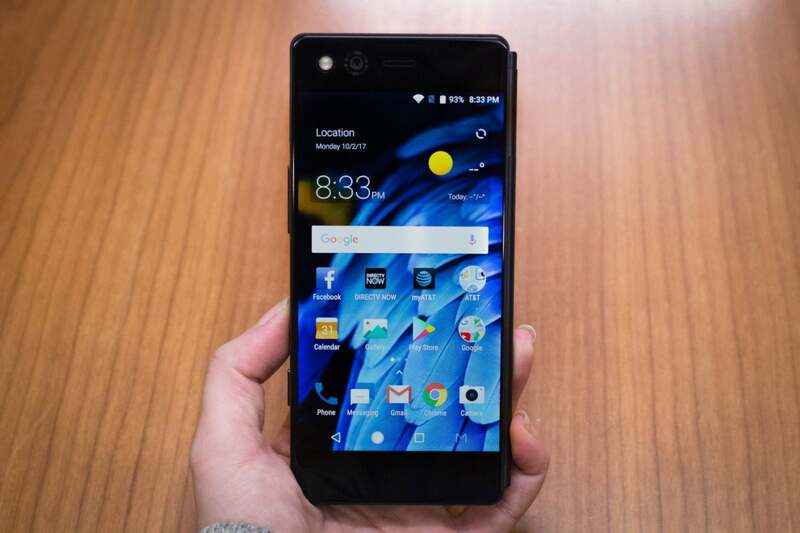 The Axon M in A mode, which utilizes both 5.2-inch displays as one larger 6.8-inch display. 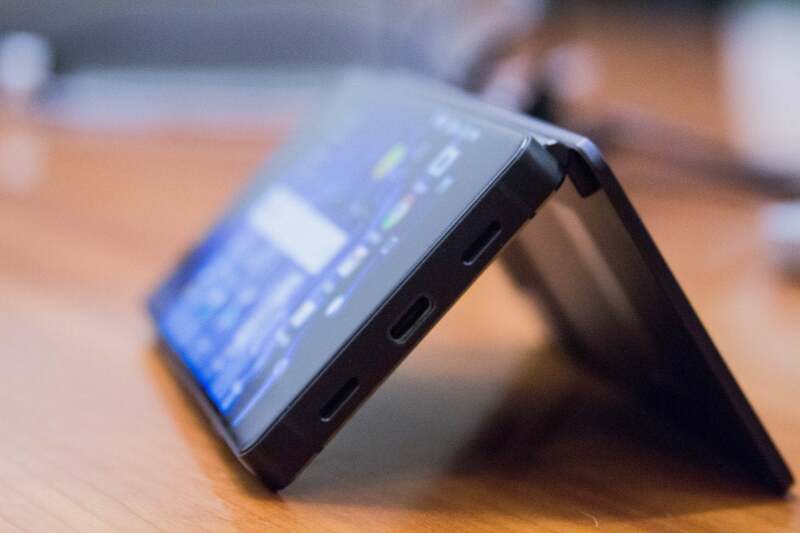 When folded up, the Axon M looks like any other smartphone. Perhaps the only real drawback is that it’s considerably thicker compared to other flagship devices. 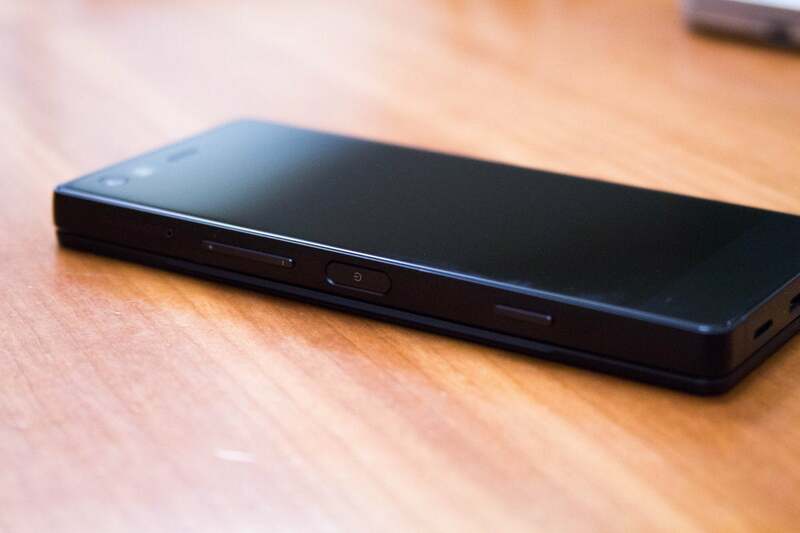 Besides the traditional phone configuration, using just the front-facing screen, there are three other modes for the Axon M, all of which are easily toggled from the navigation bar. There’s Extended Mode, which transforms the two displays into a single larger device for reading and browsing the web; Dual Mode, which treats each display distinctly, in order to run simultaneous apps; and Mirror Mode, which allows you to share content with a person sitting on the other side of the device when in tent mode. In my brief hands-on with the Axon M, I didn’t notice any tracking errors when I moved between the two screens in A mode (in both Candy Crush Saga and the Chrome browser). Likewise, the Axon M did fine in AB mode, even with the DirectTV streaming app using a significant amount of resources in one window; while the Mirror mode seemed to handle doubling up on a Netflix flick easily enough. I’m slightly concerned about how the Axon M’s hardware will fare over time. Its 2.15GHz Qualcomm Snapdragon 821 processor isn’t the latest chip on the market, although it is capable. Its 4GB of RAM should be enough for the Axon M’s multitasking needs, but 6GB of RAM would’ve helped futureproof things a bit. The big question, however, is whether the 3,180mAh battery will be sufficient enough for all that screen. The Axon M’s front-facing camera flips around to become a rear-facing camera. The Axon M boasts some of the latest flagship amenities, such as USB Type-C charging, Quick Charge 3.0, and 64GB of storage space with an additional expansion slot that supports up to 256GB. It also runs on Android 7.1.2 Nougat right out of the box, though it’s unclear when it will see its upgrade to 8.0 Oreo. 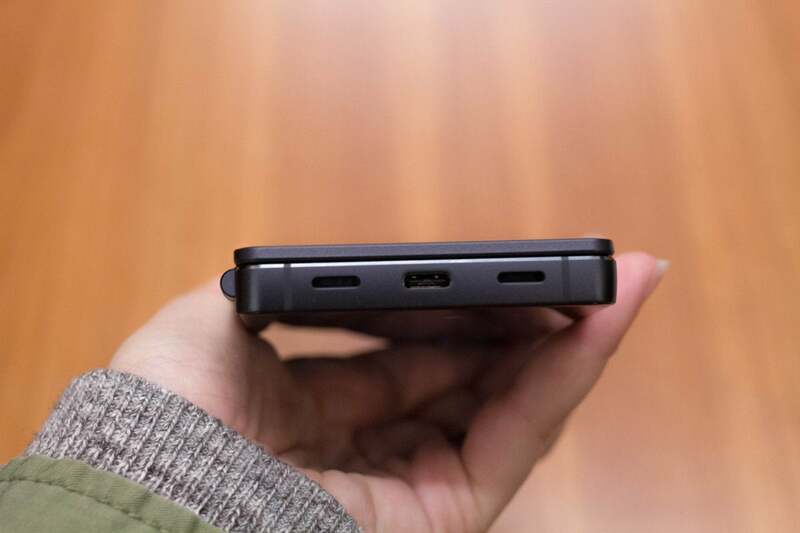 And unlike some of the newer flagship phones, it still has a 3.5mm headphone jack. Whereas most phones have a camera on each side of the phone, ZTE made the 20-megapixel front-facing camera the only shooter. The camera features Phase Detection Autofocus (PDAF), a f/1.8 maximum aperture, and specialized modes like a Night Shot mode and a manual mode. If you want to shoot anything rear-facing, simply tap the same camera toggle featured in every version of the Android camera app, and then physically flip the phone over to use the other display as a viewfinder. To ZTE’s credit, it’s quite a transition, and it doesn’t seem any more or less user-friendly than the typical camera-switching mechanism. 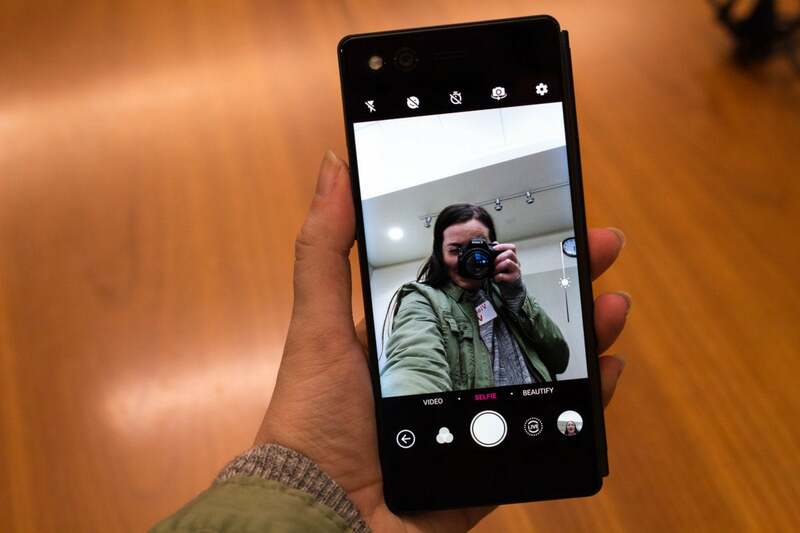 The benefit is that the high-megapixel camera is the front-facing shooter, too, so both selfies and Instagram Stories come out looking sharp. 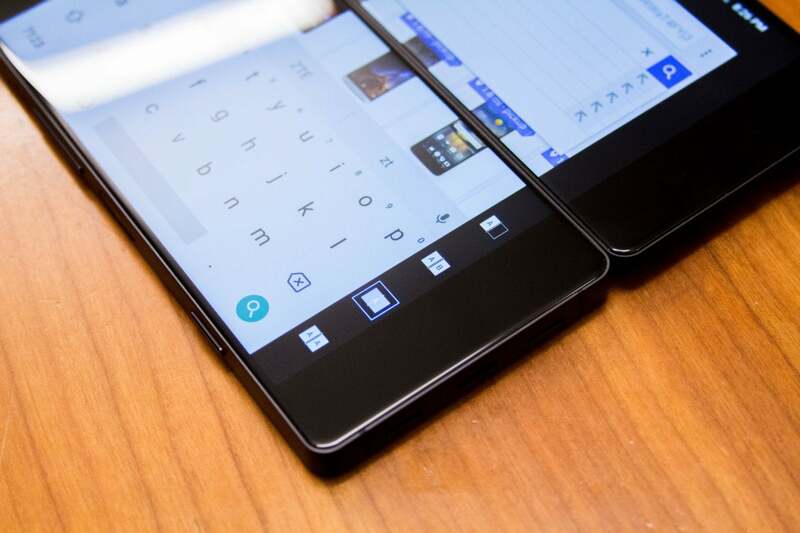 The smartphone that folds into a tablet sounds like a great idea, but will the hinge get in the way? ZTE has a user in mind for the foldable Axon M, though it’s not necessarily the early adopter. The Axon M is meant to help solve a pain point for those who often need access to a bigger screen but don’t want the hassle of packing along a tablet. A fold-out display with multiple screen modes could be the answer, but that’s only if you can get past the obvious separation between the two displays. The Axon M will be exclusive to AT&T Next subscribers, for $24.17 per month on a 30 month contract. ZTE says the phone will be available in November, but does not specify a date.